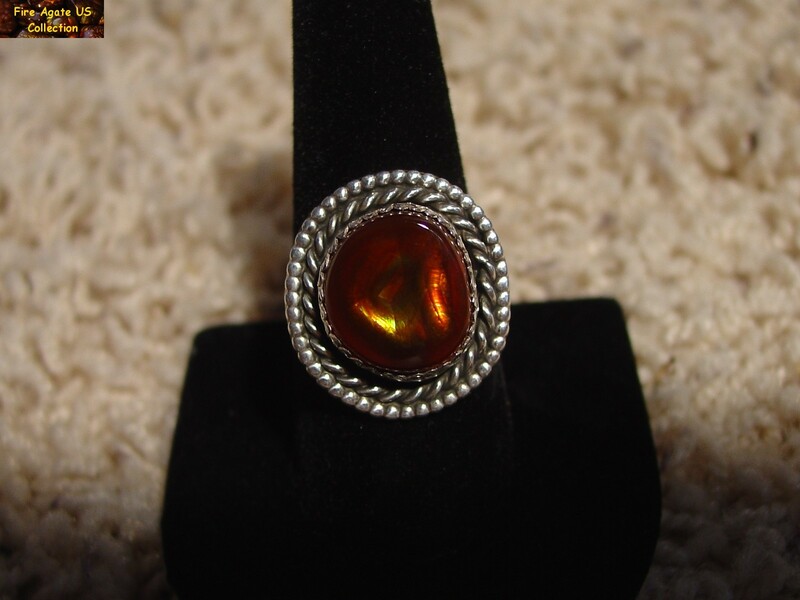 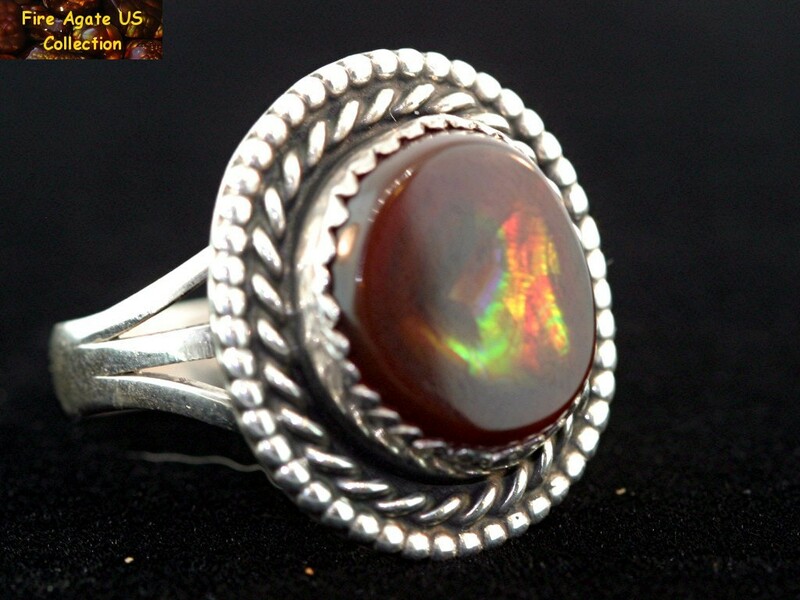 is a size 10 and has a bright multi-colored fire agate gemstone that measures approx. 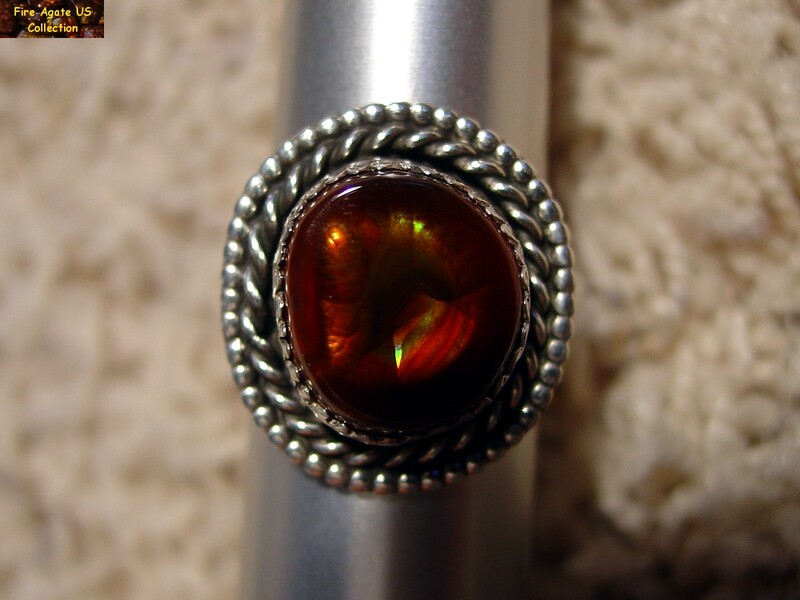 13 mm x 12 mm across the face of the gem. 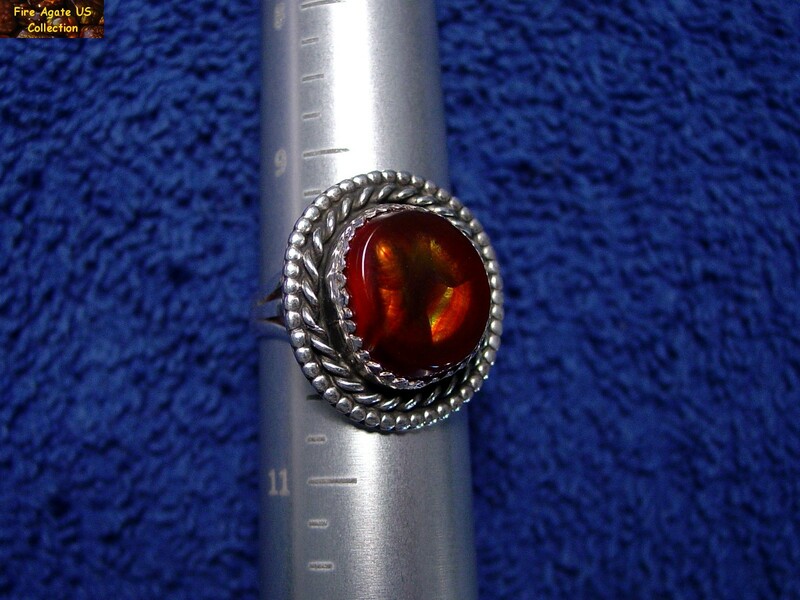 This ring, which measures 22 mm x 20 mm across the surface, is unmarked and has a total weight of 7.8 grams. 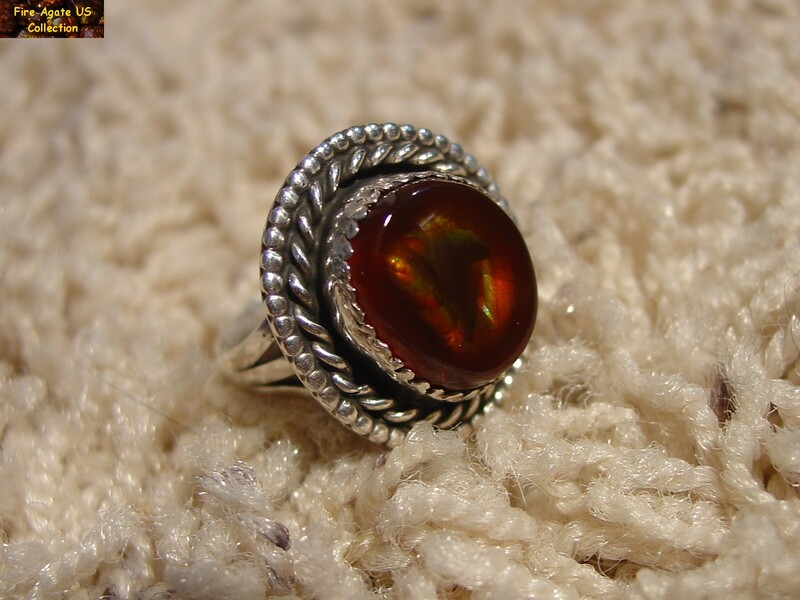 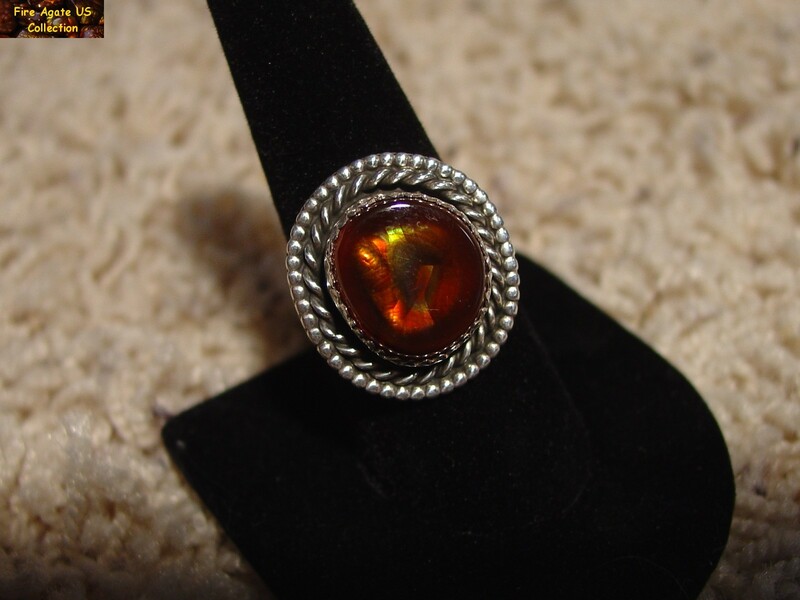 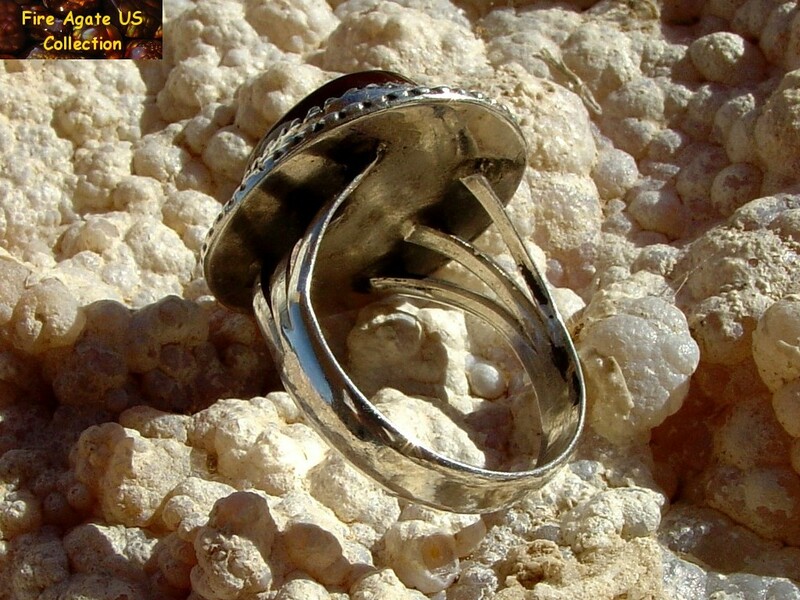 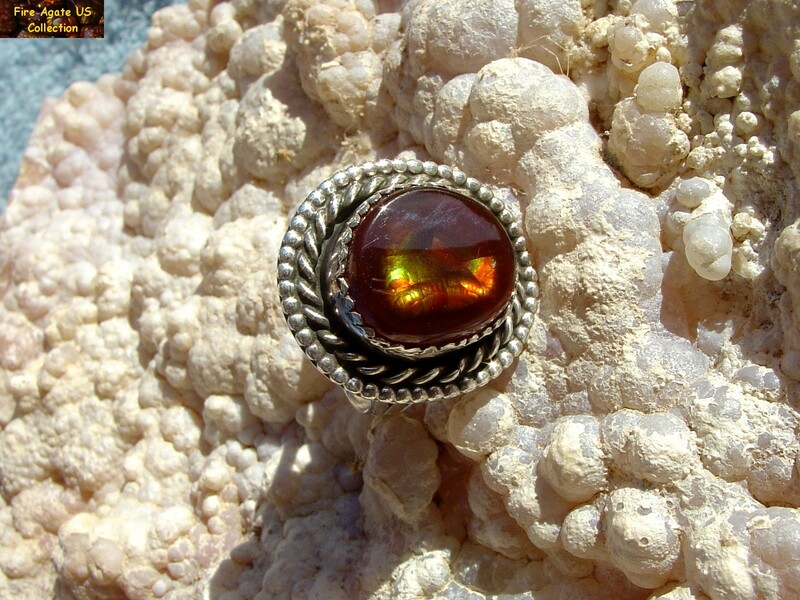 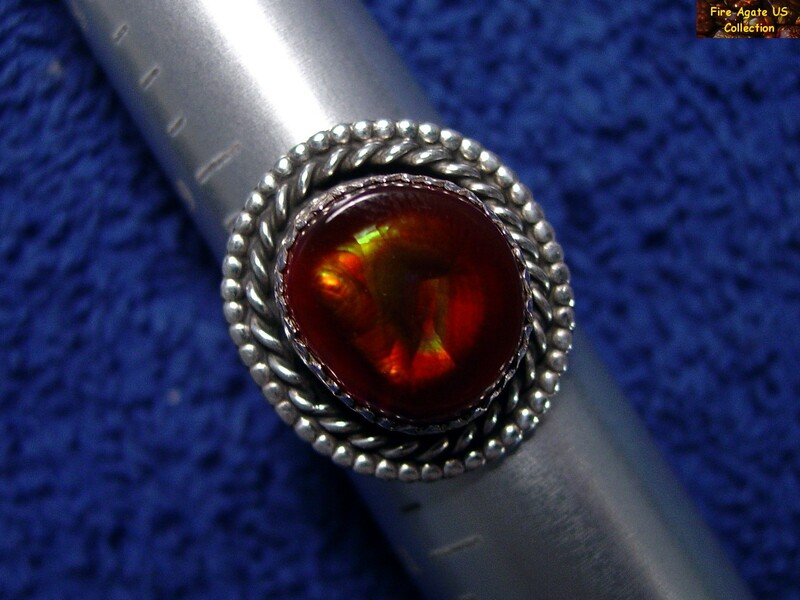 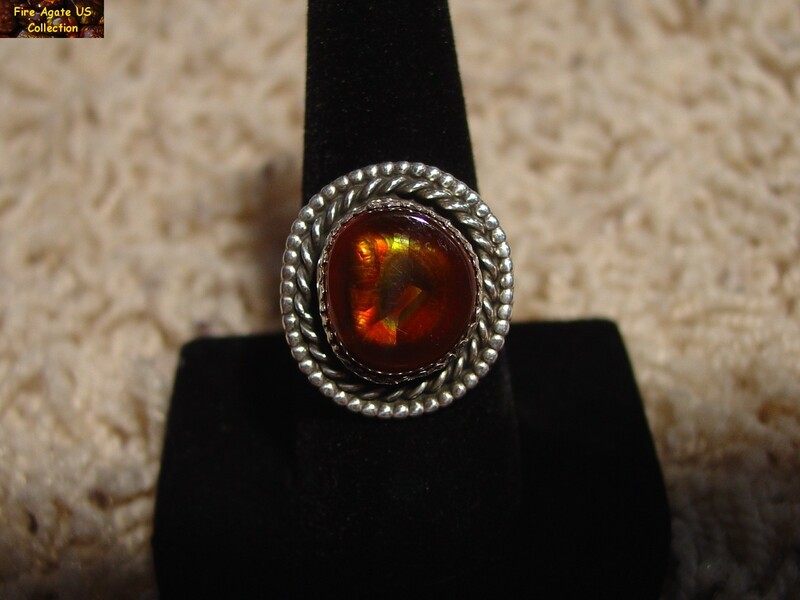 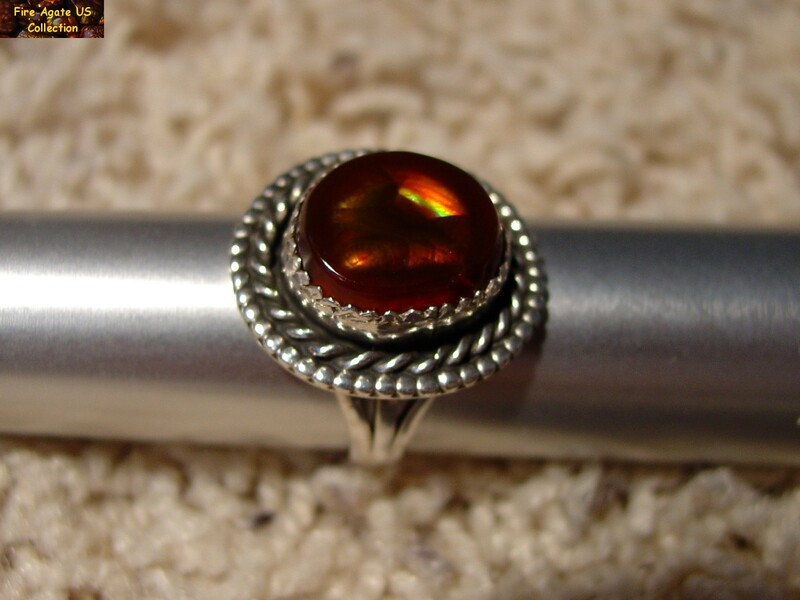 This ring is in great condition for it's age, is uncleaned with it's original patina, and the gemstone has the appearance of a Calvillo Mexico fire agate. 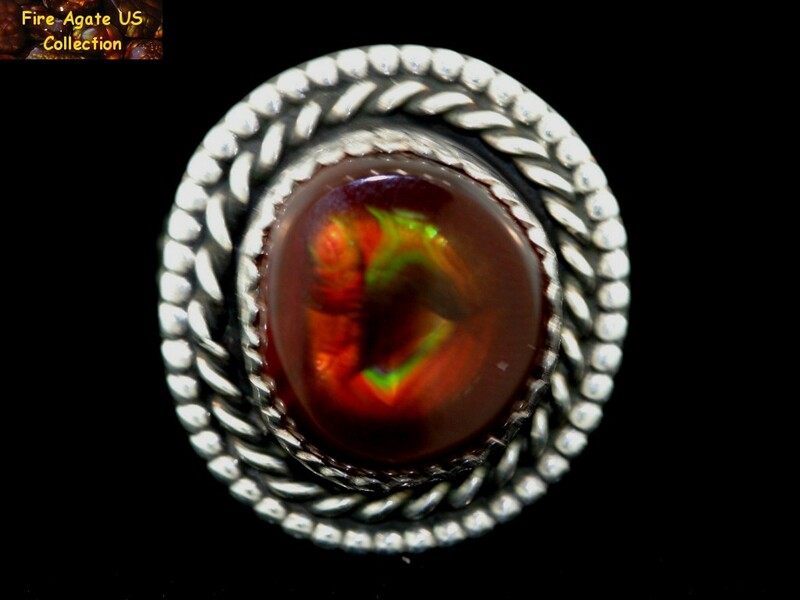 The Mexican Fire Agate (Agata De Fuego as it is called in Spanish) mines in the Mexican State of Aguascalientes are known for producing quality gemstones with mixed color variations from reds, greens, purples and blues.